This scheme will help in decreasing the burden of premiums on farmers who take loans for their cultivation and will also safeguard them against the inclement weather. 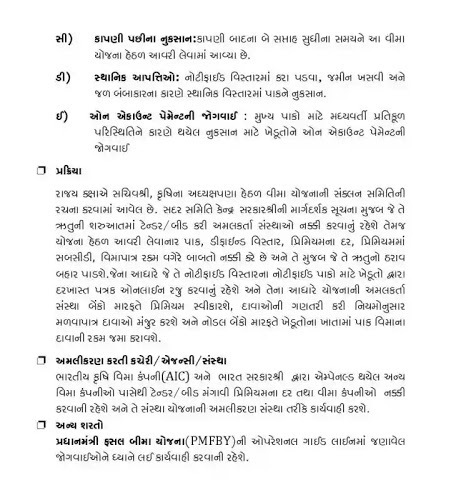 Gujarat State Also Available PMFBY. ● Farmers are unable to harvest crops due to unexpected circumstances / rocks. Provide strong support to those who have not been killed. ● To maintain the income of the farmers, they are farming sector. ● Promotion of adoption of innovative and innovative technologies for farmers To give. ● Maintain the flow of credit / finance in the agricultural sector. 2.1 All the farmers are aware of the collapse / partner and counting farmers who are notified If they are producing notified crops in the area, they should cover under the scheme Is eligible. Under this scheme, for the kharif crops by farmers 2%, 1.5% for raving crops as well for annual commercial and horticultural crops 5% of the annual vegetable and waste horticultural crops Is done. Under the scheme, the following phases of crop and the risk of damage to the crop will not be affected Has been covered. Less Due to rain or due to an unexpected season, insurance is underway In case of sowing and planting in the two areas. Non-preventable hazards Imprisonment, lack of rainfall, flood, extraction / waterlogging, mites and Diseases, landslides, or fires, lightning, hurricanes, snow Thunderstorms, Cyclone and Rainfall due to cyclone and festive season Due to rain / loss risks, the losses due to coverage are widely covered is coming. This insurance will cover two weeks after pruning The scheme has been covered under the scheme. In the notified area, precipitation of land, and removal of land Due to the water supply, the crop does not get damaged in the local biodiversity. At the State level, the submarine of the insurance scheme under the scheme of poverty reduction The structure has been created. According to the guidance given by the Government of Gujarat, In the beginning of the season, tender / bid will be decided by the implementing organizations as well. Under the scheme, the crop, deficit level, rate of interest, in premium Subsidies, permissible rates etc. are determined and as per the rule of the season Will release. 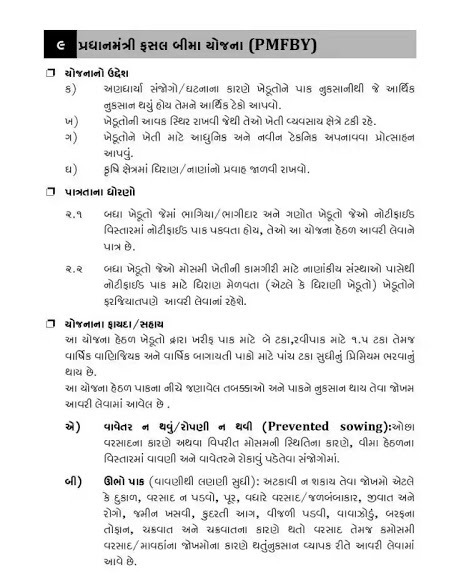 On the basis of which they are notified for the notified crops of their The proposal form will be done online and on the basis of the implementation of the scheme The institution will accept a bill through banks, computation of claims, In case of receivable claims, and through Nodal banks, farmers will be able to purchase crops The claim amount will be deposited. Employed by the Indian Poor’s (AIC) and Government of India Decision on rate of interest and insurance companies for seeking tenders / bead from private companies They will have to do this and they will serve as the organization of the implementation plan. The Prime Minister mentioned in the Fasal Bima Yojana (PMFBY) Operational Guideline The provisions should be taken into account.